Ain't Nothing But a Bee Sting Baby: Soul Man. 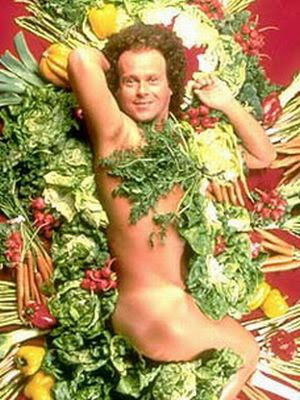 I googled Richard Simmons and this was one of the first pictures to come up. Priceless. Who doesn't want carrots that Richard Simmons marinated in?? This man makes me think of awesome oldies music and silly dance moves. My mom used to swear by him and although I was too young to realize how awesome this little guy was I used to sit and watch my mom working it out and take in the movement and pure joy my mom got from these videos. Paying tribute to an oldie but a goodie.